Toe Blood Pressure (TBP) is the measurement of distal limb systolic blood pressure at the toe and is useful in patients with noncompressible tibial arteries, for example those suffering long-standing diabetes, renal failure or other disorders where vascular calcification is present. TBP can also be used for diagnostic classification of Peripheral Arterial Disease (PAD) including Critical Limb Ischaemia (CLI). 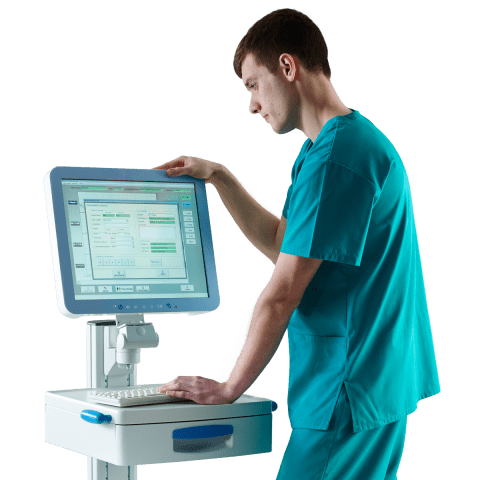 Using laser Doppler with automated pressure systems TBP measurements have been shown to be reproducible with less inter and intraobserver variability than that reported for Ankle Brachial Pressure Index (ABPI). We recommend the moorVMS-VASC PC software to streamline the measurement and analysis together with a single or dual channel moorVMS-LDF monitor and multi-fibre skin probes (VP1T/7). The CUFF-TOE is suitable for occlusion of the toe and the moorVMS-PRES provides automation of the cuff inflation/ deflation protocol. L. Norgren, W.R. Hiatt, J.A. Dormandy, M.R. Nehler, K.A. Harris and F.G.R. Fowkes. Eur J Vasc Endovasc Surg 33, S1eS75 (2007). Høyer C., Sandermann J., Paludan J.P.D., Pavar S., Petersen L. J. 2013. Journal of Vascular Surgery. 58 (6), pp 1563–1570. Høyer C., Paludan J.P.D., Pavar S., Biurrun Manresa J.A., Petersen L.J. 2014. Reliability of laser Doppler flowmetry curve reading for measurement of toe and ankle pressures: Intra- and Inter-observer variation. European Journal of Vascular and Endovascular Surgery, 47(3), pp311-318. Påhlsson H. I., Lund, K., Jörneskog G., Gush R., Wahlberg E. 2008. European journal of Endovascular Surgery, 36, pp 576-581. Wahlberg E., Gush R. 2002. 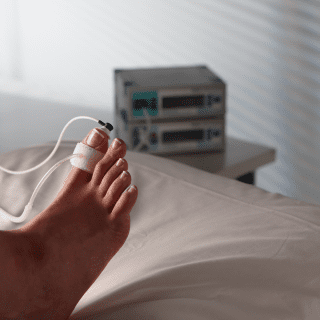 A new automated toe blood pressure monitor for assessment of limb ischemia. European Journal of Endovascular Surgery, 24, pp 304-308.